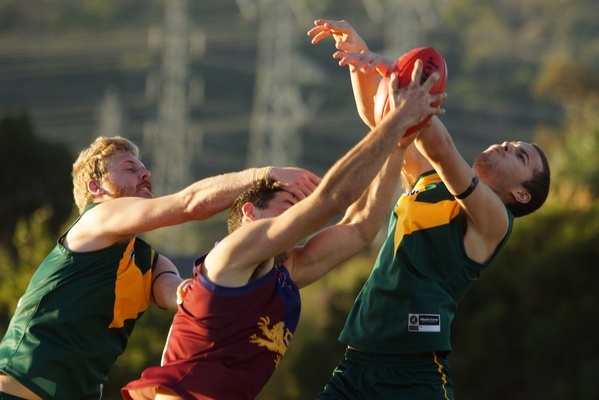 PROVING the old adage, Endeavour Hills showed South Yarra on Saturday that it isn’t over til it’s over. With the wind at their back in the final term, the Falcons had to overcome a 21-point deficit and a difficult day on the park against the fourth-ranked Lions. Nothing was going right for the hosts through the first 10 minutes of the last and that would’ve been enough for most sides to chuck the cue in the rack, but the Falcons had one last push left in them. 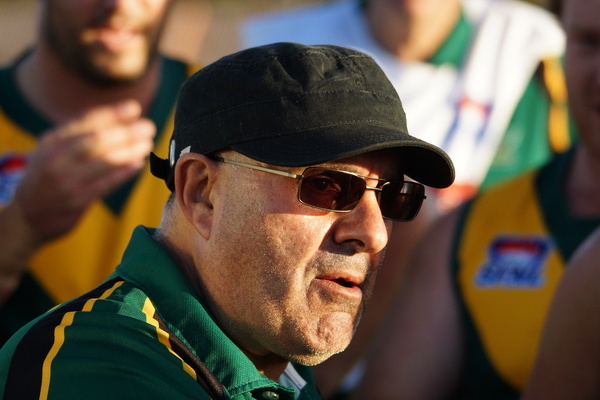 With Endeavour Hills coach Steve Muscat believing the side’s season was on the line, the final attack began in earnest through a careless 50-metre penalty from South Yarra. It gave Daniel Strom a difficult set-shot but the defender delivered – cutting the margin to 14. It went back up the Lions’ end as the visitors booted their last – after a free kick was given in their square – to open up a 20-point lead. Mitch Whatman (five goals) was the Falcon who stood up next and stood out the most as he became the game-changer late in the clash. He was only up forward for the windward quarters, but in that brief period he delivered. Whatman roosted the second of the term straight through the uprights from the tip of the arc then a reversed free and 50-metre penalty gave Whatman his second of the term to slice the gap once again. Byron Hoe made a crucial intercept mark and booted it to the square where … guess who … Whatman was at the fall of the ball to snap another goal and bring it back to a two-point ball game. But that wasn’t the last of him – the highlights package needed a fourth-and-final Whatman moment as he found himself on the end of a long-bomb from Matthew Peake, snapping truly to push the side ahead with a minute or so remaining. 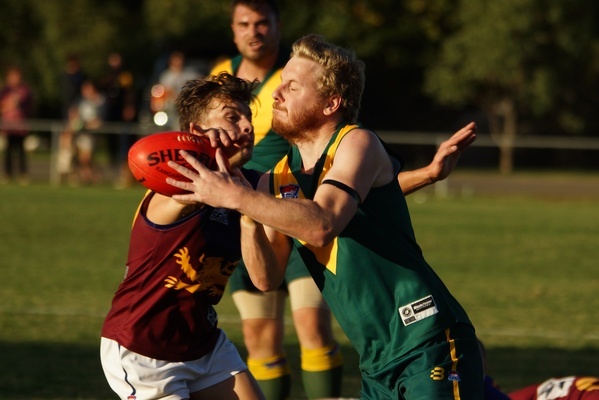 South Yarra scrambled in the dying seconds, but it was too late as the Falcons roosted it long again where Nathan Crutchley booted the match-sealer to give Endeavour Hills an amazing come-from-behind 11-point triumph. “We looked like we could’ve kicked another in the end,” Muscat said. “It was just the belief – we had the breeze and we made some changes in the last five minutes – not saying they worked, but we got over the line so we’ll claim it. The coach thought Jake Van Hoesel, Jarryd Burke and Matt Cram stood tall all day as well as the man of the moment Whatman. 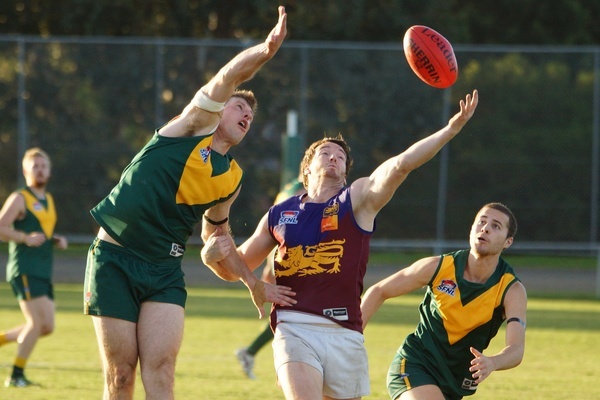 Moving up to sixth, Endeavour Hills has a two-week break before its Saturday night showdown with Hallam away on 28 May. 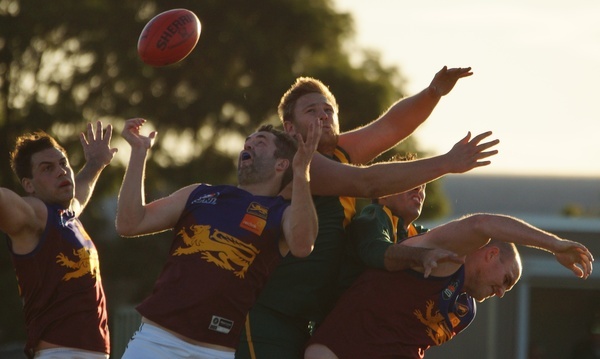 In other SFL results, Springvale Districts had a heart-breaking two-point loss to Chelsea Heights. Trailing at the final break by a point, the Demons couldn’t jag the match winner to just fall short. 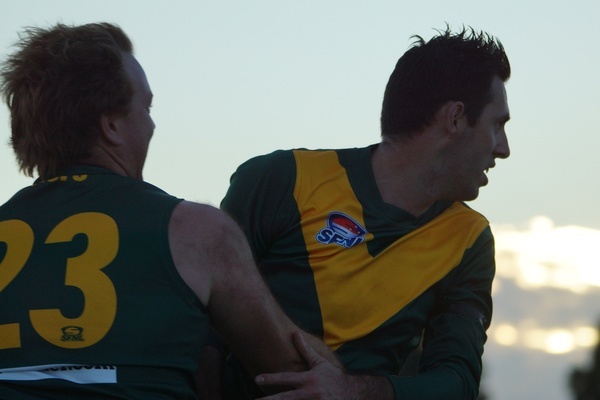 Todd Wills and Billy Green were Springvale’s best on. 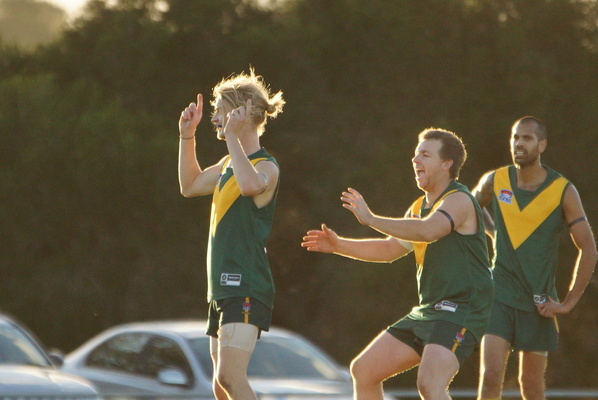 Keysborough held off the winless Black Rock to take a 27-point win to push itself up to sixth. Danny Morland (two goals) kept racking up the touches while Jake Dunn, Geoff Humphreys and Matt Downie starred alongside him. 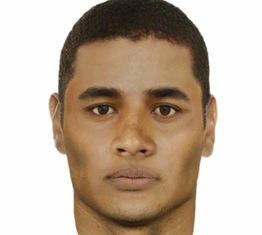 Sandown and Hallam’s match was called off in the fourth term after a brawl erupted on the sidelines. Hallam was 80 points ahead when the incident happened and was awarded the win. 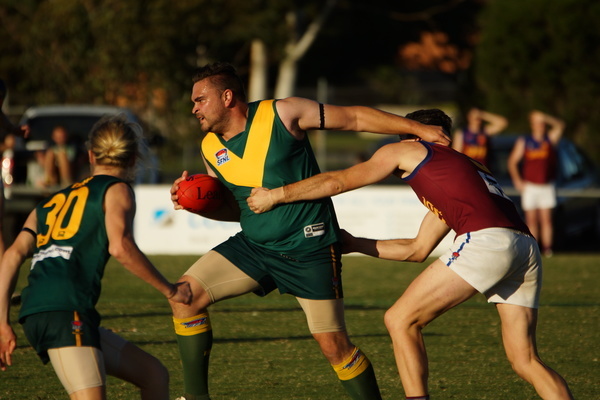 Doveton Eagles thrashed Dandenong 17.23 (125) to 3.5 (23), while Lyndale was beaten similarly by Mount Waverley 5.8 (38) to 21.10 (136). 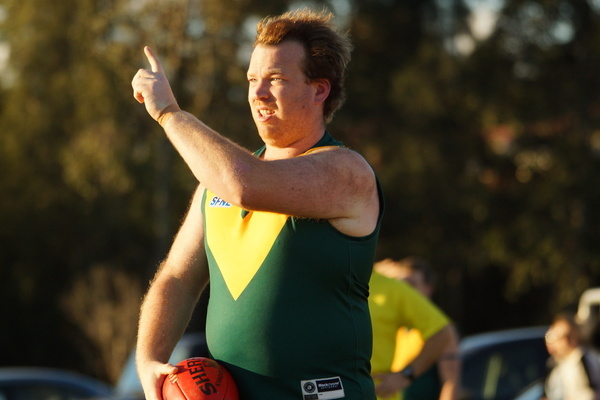 In the VAFA, St John’s skipper Glenn Costas had a field day – racking up 60 touches – as the JOCS brutalised Richmond Central 26.12 (168) to 5.9 (39). 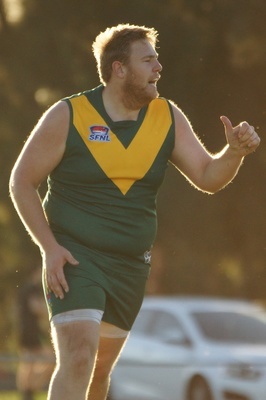 Tim Edwards (nine goals), Aaron Thornton (six goals) and Corey Ely also featured in the best. On the inverse, Masala was flogged by Eley Park 9.13 (67) to 24.15 (159). Nick Cunningham and Jesse Yarde were best for the Tigers. Noble Park finished off North Ringwood in the end, taking a 30-point win over the visitors at Moodemere St. Kyle Martin, Ben Giobbi and Musa Amin also featured in the best. Dandenong Stingrays’ unbeaten TAC Cup run came to an end on the road this week, downed by Murray Bushrangers 9.9 (63) to 9.13 (67). 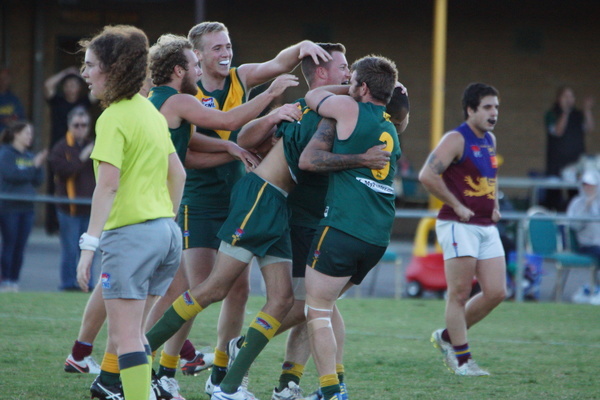 Mitch McCarthy, Mason De Wit and Matt La Fontaine and Sam Fowler (three goals) were the best.